Souq almubarkia restaurant ...................... Location salmabad. ...................... Take away only. . Order: Murabian…Souq almubarkia restaurant ...................... Location salmabad. 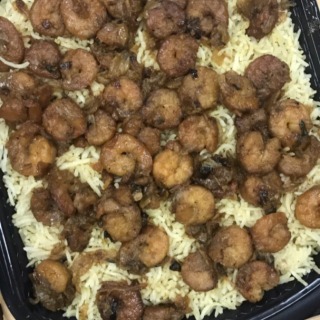 ...................... Take away only. . Order: Murabian shrimp . 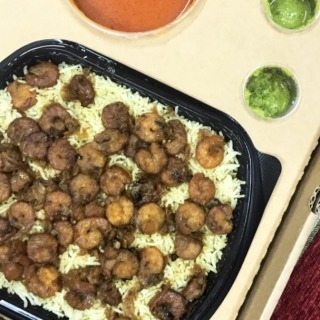 Food: was delicious will balanced flavor, i like the shrimp it was cooked perfectly and the caramelized onion gave it another dimension. . Souces: red sauce was normal like any kushary sauce and the green one was too spicy don't try it if you don't like spicy food. . Rating 8/10 . Worth the try. 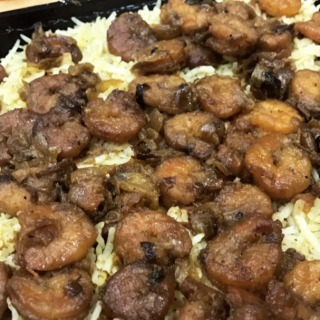 But keep in mind its Kuwaiti food do not expect machboos or other dishes to be as Bahraini food.